After attending the 1st Neuromarketing World Forum (2012, Amsterdam) and the 2nd Neuromarketing World Forum (2013, Sao Paulo), organized by the Neuromarketing Science & Business Association and Carla Nagel (Director of NMSBA) this year I met again my neuromarketing family in New York City. 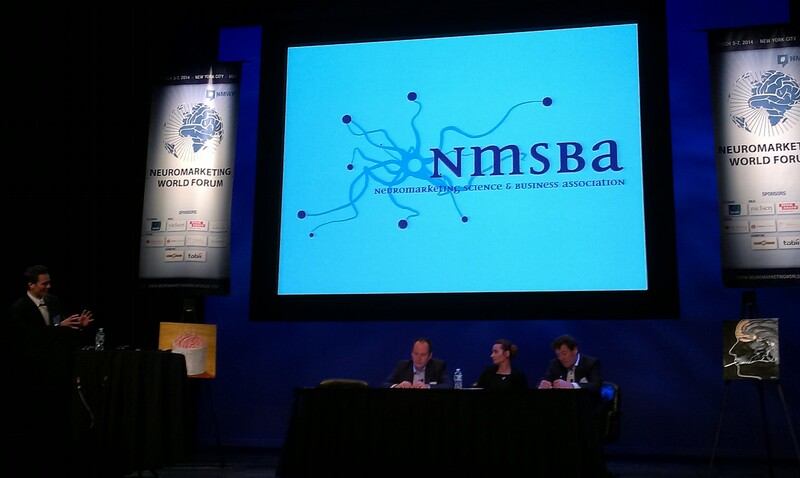 The 3nd edition of Neuromarketing World Forum took place in between 5th and 7th of March, at Millennium Broadway Hotel (in a theater!) in Times Square. First day (5th of March) started with a seminar entitled “Introduction to Neuromarketing” which targeted marketers, advertisers and market researchers who want to understand the whole story behind neuromarketing. Steve Genco (Intuitive Consumer Insights LLC), Phil Barden (Decode Marketing Ltd), Stephen Sands (Sands Research) and Thomas Ramsøy (Copenhagen Business School, Neurons Inc.) were the speakers that helped the audience connect the dots between science and practice. From 9 AM until 2 PM, Steve Genco (Intuitive Consumer Insights LLC) started this intensive learning day by presenting the rational consumer model versus the intuitive consumer realities. Then he exposed the brain machinery behind consumer responses (System 1 & System 2) and presented in detail the 6 key nonconscious mechanisms that influence what we think, say, choose and do: novelty and familiarity detection; emotional markers; processing fluency; priming; nonconscious goal pursuit; judgement heuristics. 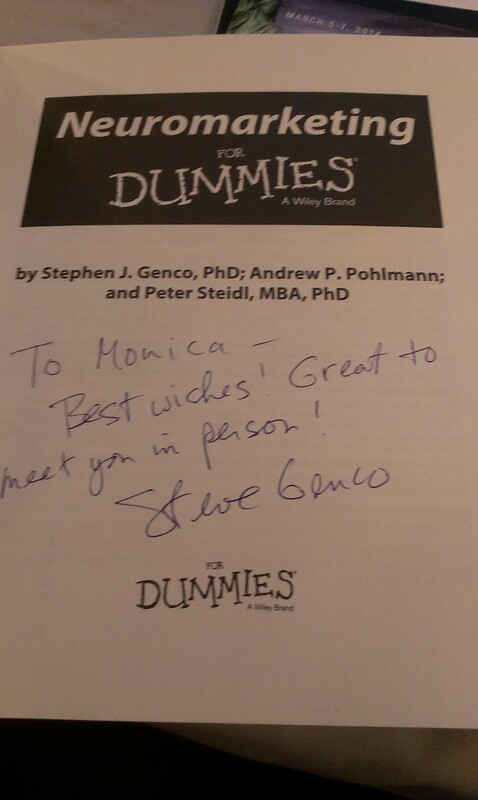 Genco then presented essential science aspects concerning atention, emotion, memory and goals in marketing. 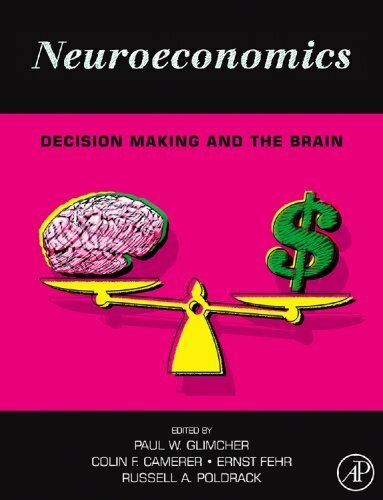 Consumer preferences were explored based on the science of decision making and consumer choice, and neuromarketing research techniques were explained in terms of method description, complexity, time and costs. Phil Barden led a discussion about improving brand equity using implicit responses and illustrating case studies by Decode Marketing, emphasizing that people buy brands, not ads. Barden presented brand equity as an associative network, showing how an ad impacts this network. In order to find out more about this topic, I invite you to read Phil Barden’s book Decoded: The Science Behind Why We Buy (review here). Stephen Sands (Sands Research) redefined TV ad effectiveness, showing case studies fron Sands Research, where they use EEG and eye tracking in order to identify ads effectiveness and subjects attention. Using 68 channel full spectrum EEG technologies, they quantify: overall engagement, emotional valence, cognition, attention, visual, motor, memory and recognition. Thomas Ramsøy (Copenhagen Business School, Neurons Inc.) talked about the attention (bottom-up & top-down) and emotional cues applied in retail, showing case studies from Neurons, Inc. (using eye tracking research or Neurovision software tool that simulates eye tracking research) on how in-store retail can be optimized. An interesting part of the seminar included examples of how visual attention can be enhanced by using tricks such as brightness adjustment and contrast in order to increase their visual appeal. Professor Ramsøy also talked about how EEG studies can predict the willingness to pay, taking into observation the responses at product viewing time and the frontal asymmetry of brain responses. Another study he presented was intended to test the effect of prior ad exposure on in-store behavior, by comparing the effect of a certain ad on in-store behavior (attention, emotional responses, cognition, motivation and choice) and responses with the effect of viewing two versions of that ad on consumer responses, using eye tracking, EEG and self reports. The study reports there were differences between the control group and the 2 test groups, the more a test subject viewed an ad or two, the higher was the intention to buy. 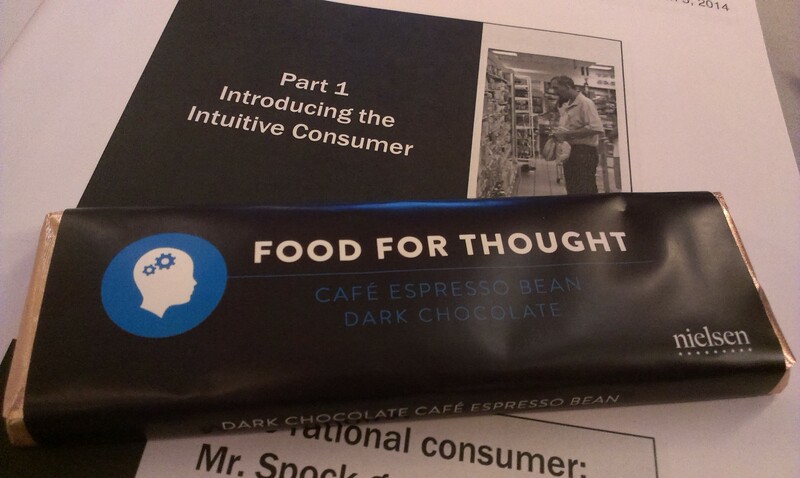 The presentation also included a talk about how brain responses can predict purchase. Together with Thomas Ramsøy, Kyle Nel (Lowe’s Home Improvement) had an entertaining talk that presented a case study of Lowe’s Home Improvement. 6th of March started with a presentation from Read Montague (Human Neuroimaging Laboratory, Virginia Tech Carilion Research Institute) on how consumers value products and the influence of brands and cultural messages on the brain. He talked about the evolution of neuroscience used in market research and what does the ventromedial prefrontal cortex have to do with preferences. He presented 3 experiments, among them was of course the famous Coke vs. Pepsi challenge. We also found out how sponsorship influences preference and how can this influence be eliminated by mindfulness training. Mathieu Bertin (Synergy Marketing, Inc.) then talked about combining objective and subjective information and presented ways to integrate the data from EEG (arousal and valence) and surveys (reported data) quantitatively and reliably in order to apply the findings on TV ads research. As EEG provides strong temporal resolution and surveys provide strong “emotional” resolution, according to Bertin, using the both methods together can get great insights. He presented a case study on Sony Bravia 4k Ad (on 36 subjects, using EEG) and showed how they work at Synergy Marketing, using machine learning in order to classify data and create a deducted model from reported data and EEG data. We don’t spend much time thinking about what we buy. We actively and passively avoid advertising and resist marketing messages. We have weak preferences. And they can be easily changed without persuasion. We have faulty memories. And recall is a poor predictor of choice and behavior. We are wildly overconfident about our self-knowledge. And usually wrong. Richard Silberstein (Neuro-Insight)presented the neural pathways and the path to purchase and how can strong imprints in long-term memory be created. 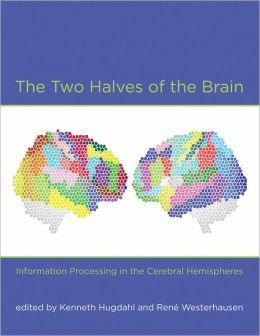 Professor Silberstein presented the brain activity measures used in ad research, emphasizing that left brain hemisphere focuses on details and the right brain hemisphere focuses on imagery and emotions. Also, we learned that the mere effect (5 ms exposure to stimuli) has a stronger impact than normal exposure. The 3 students nominated for the Neuro Talent of the Year Competition (competition sponsored by NeuroHM and NMSBA) were presented by Rafal Ohme (NEUROHM) and they showed the audience their work. Daniel B. Yarosh (Estee Lauder Companies) talked about neuromarketing applied to cosmetics at Estée Lauder, and we learned what shapes attractiveness and how we make decisions concerning beauty (EEG study on facial viewing, fusyform gyrus being the brain area where faces are judged). The faces are the canvas for communicating emotions, so this is an important topic for anyone. Next, Carl Marci (Innerscope Research) and Peter Leimbach (FOX Sports) presented FOX Sport’s successful innovation around changing behavior, answering the problem of commercial-skipping (with Double Box Advertising) and increasing viewer enjoyment. Rana El Kaliouby (Affectiva) and Graham Page (Millward Brown) had an interesting talk about the growth and effectiveness of automated facial coding used in quantifying emotions and optimizing ad effectiveness. Next, Christophe Morin (SalesBrain) showed how a bank reinvented communicating with millions of customers, but also talked about voice analysis and facial expressions interpretation. Rafal Ohme (NEUROHM) and Tomasz Marszall (PKO Bank Polski) advices neuromarketers to adopt a neuro (System 1) to routine process of consumer research and to integrate it with traditional methods (System 2), as neuro must be seen as a process, not a single event. 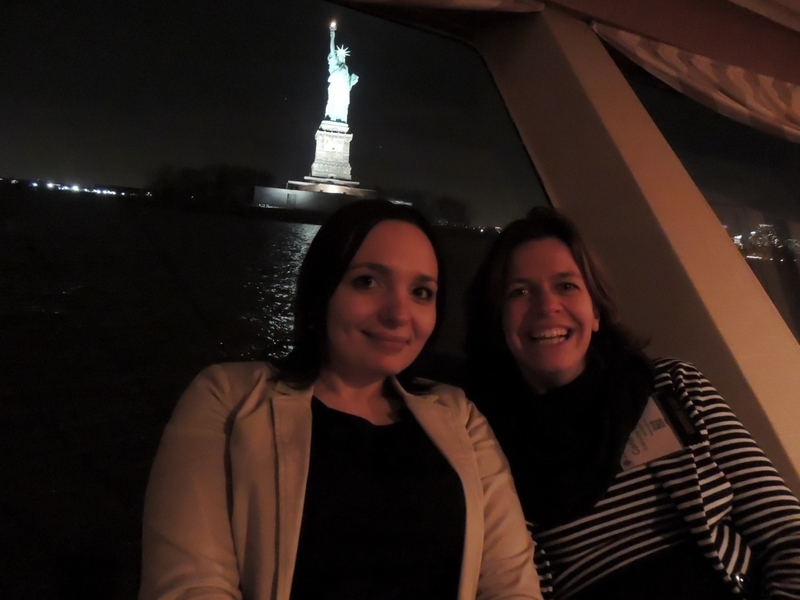 Next, we went on a scenic dinner cruise on Hudson river, with great views on the Statue of Liberty Manhattan skyline and Brooklyn Bridge. 7th of March started with the presentation of ARF’s Neuro 2.0 Project. Elissa Moses (Ipsos), Horst Stipp (ARF – Advertising Research Foundation), Angelika Dimoka (Temple University) and Russell Winer (Stern School of Business, New York University) attended this discussion, providing the background on this project, the tools and experimental design, and the results. I attended the workshop on online implicit consumer research conducted by Gemma Calvert (Neurosense), where we learned how non-conscious and emotional responses are captured online (great for sensory testing and new product development) and we were shown case studies. 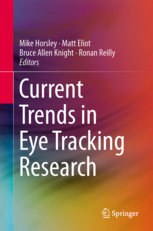 In order to learn more, I advise you to read the article entitled Using implicit methods to develop an objective measure of media brand engagement, published by Gemma Calvert, Eamon Fulcher, Geraldine Fulcher, Pauline Foster and Helen Rose in January 2014 in International Journal of Market Research. Next, I will review the break-out sessions I attended. Phil Barden (Decode Marketing Ltd) presented how we can do more effective marketing through neuroscience, redefining the perceived value and optimizing the path of purchase. He also talked about the anchoring effect and about measuring goals. Once again, I invite you all to read Phil Barden’s book Decoded: The Science Behind Why We Buy (review here), as it contains many of the case studies presented, including explanations. Professor Thomas Ramsøy (Copenhagen Business School, Neurons Inc.) then talked about validation, standards and how to continuously bridge the science and business of neuromarketing, bringing into discussion the following topics: open methods, building a toolbox, using benchmarks, document (validation), using experts. And he encouraged everyone to make an effort for internal validation and collaborate in order to develop an open access journal for neuromarketing research. Professor Ale Smidts (Rotterdam School of Management, Erasmus University) offered evidence from EEG and fMRI on how well do neural focus groups predict choice and which are each technique’s strength and weaknesses in this process. He presented a study case on movie trailers (high Beta waves result in high preference) and emphasized that the brain picks something stated preferences cannot, so the brain is a better predictor of choice. As stated by Prof. Smidts, neural focus groups predict behavior above and beyond stated preferences. 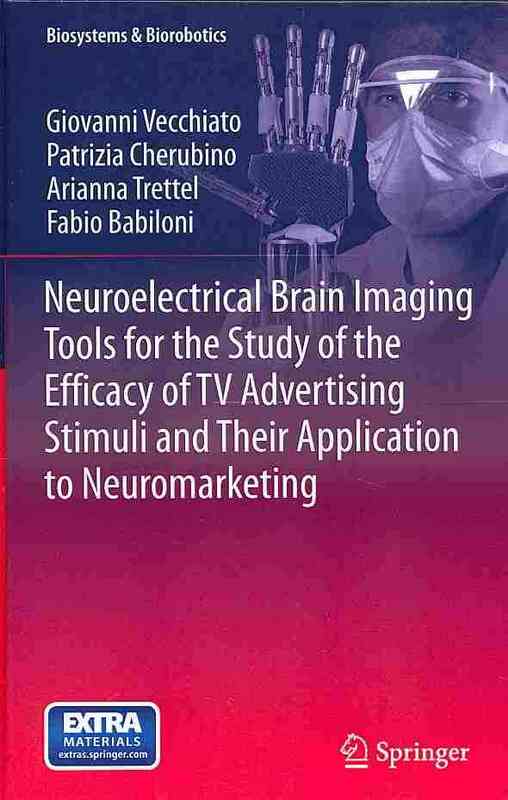 Martin de Munnik (Neurensics), Angelika Dimoka (Temple University) and Bernd Weber (Centre for Economics and Neuroscience, University of Bonn) attended a panel discussion on the position of fMRI in Neuromarketing. They discussed the evolution of fMRI in market research in terms of price, availability, expertise, education, integration and importance. They also presented how the flow of the evaluation process and what the future holds for this tehnique: price will go down, it will be easier for participants to be part of a study and software will eliminate the predictive error. Next, all participants attended the 1st Neuro Market Place, where the following companies presented their work, capabilities and offers: Tobii, Neurensics, Ipsos, True Impact Marketing, ThinkNeuro, NeuroSpire, Nielsen and NeuroTek. Caroline Winnett (BrandNeuro) pleased our ears with a violin mini-concert before presenting the future of neuro. She also talked about where the industry is headed, the technology developments that are coming to the field and what does the future hold in this hyper growth industry. She gave advices that could help the evolution of this field (like specialize, make friends, don’t tolerate poor science), and the one that I found most important is: offer strategy, not tactics; offer insights, not data! Caroline Winnett also pinpointed the signs of maturity of neuromarketing: knowledge and capability scaling; the array of technologies; benchmarks and peer reviewed studies; 115 suppliers listed in the Neuromarketing Yearbook. Finally, the key note speaker Antonio Damasio (University of Southern California) talked about emotions, feelings and decisions, giving a future outlook on brain research applied to advertising and presenting the opportunities of emotional research as a basis for business and marketing. 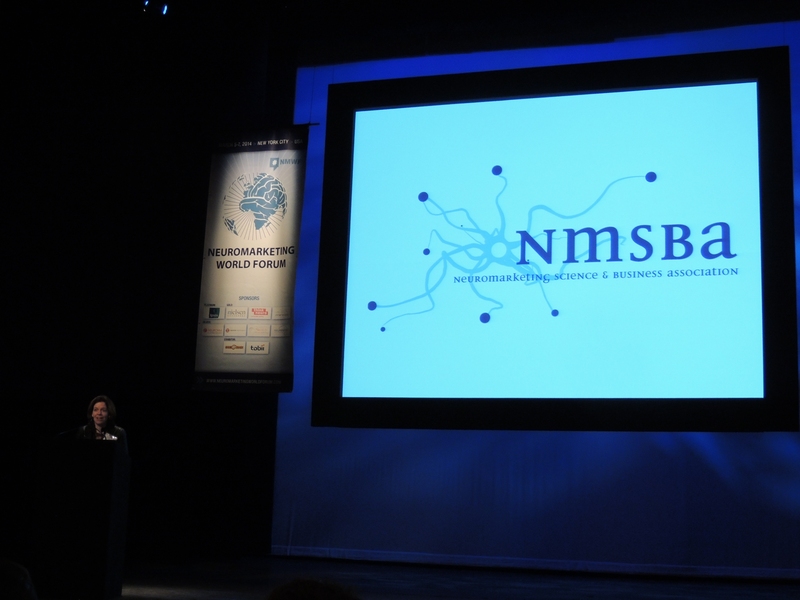 At the end, NMSBA surprised and rewarded Antonio Damasio by having him as the 1st honoring member of the Neuromarketing Science & Business Association. Congratulations for this great event, Carla Nagel! 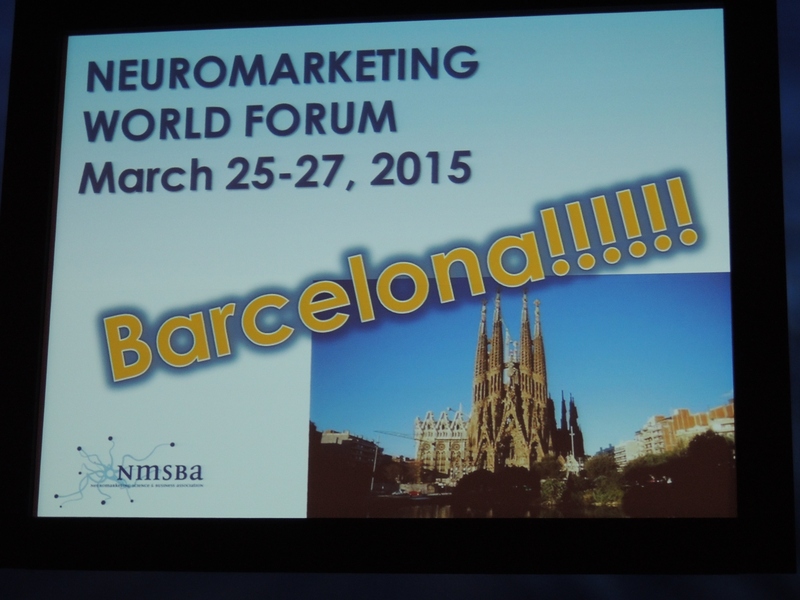 The next edition of Neuromarketing World Forum will be in Barcelona, Spain!